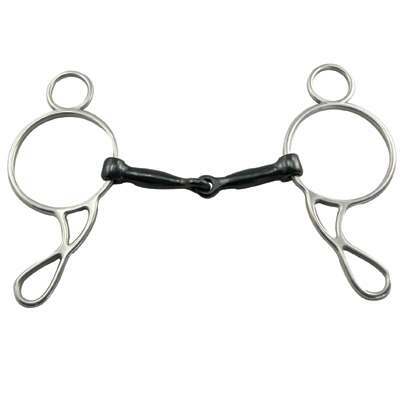 The Sweet Iron Mouth Wonder Gag Snaffle Bit that we offer is a Top Quality item for your Horse. This item is also made of top quality materials which will last a lifetime. If you are in need of Wonder Gag Snaffle Bits this item is just what you need. We only offer the best horse bits for your horses at unbeatable prices.